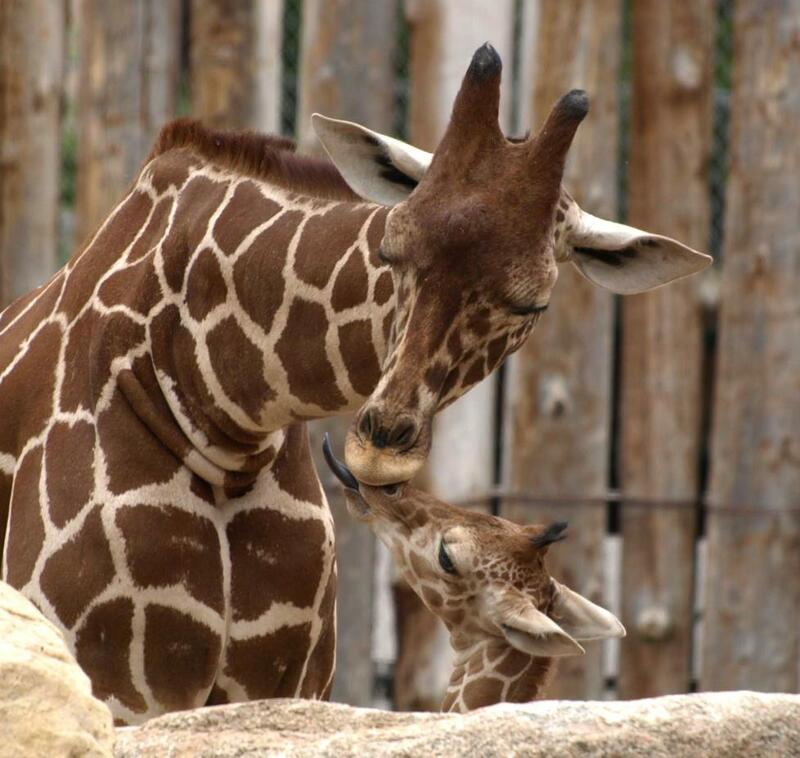 Luminarias in Old Town on Christmas Eve and the River of Lights at the ABQ BioPark Botanic Gardens may top most lists of Albuquerque&apos;s December celebrations, but there are plenty of other holiday events to fill your calendar this month. 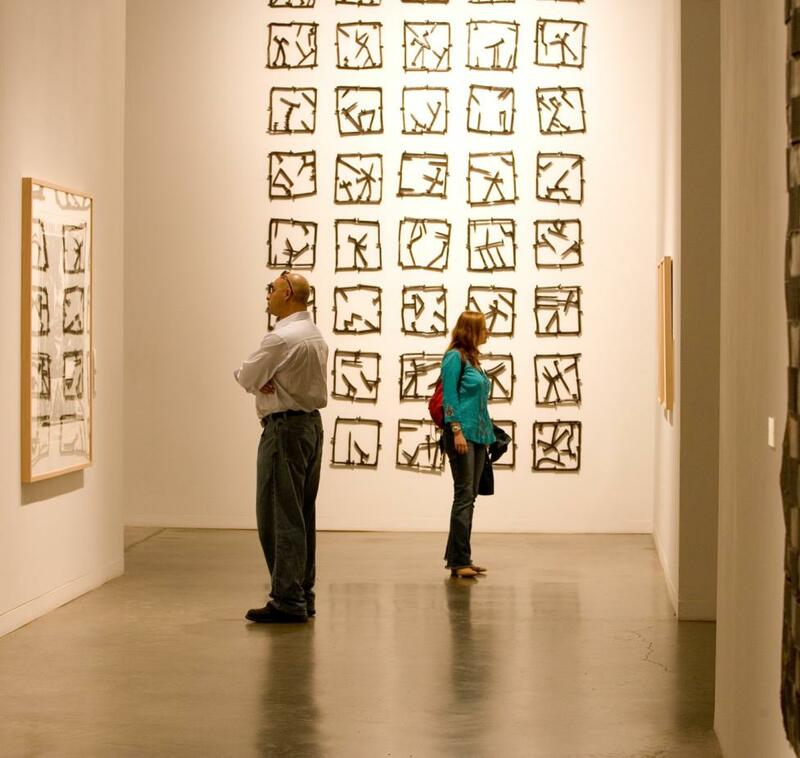 Step out of your holiday routine and check out one of these lesser-known #TrueABQ events! Santa Fe&apos;s Traditional Spanish Market (held each July) may be better known, but Albuquerque&apos;s Winter Spanish Market has many of the same exhibitors-with a smaller audience that allows you unobstructed views of the work and to chat with the artists. 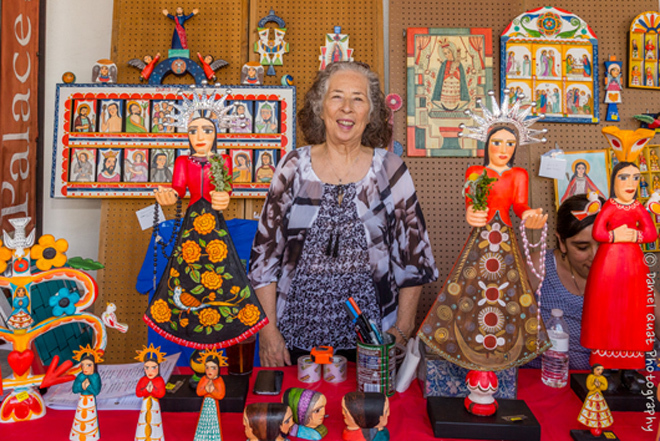 The show and sale at Hotel Albuquerque will feature more than 100 artists all working in traditional Spanish Colonial crafts, from retablo and bulto making, to tinwork and straw applique. 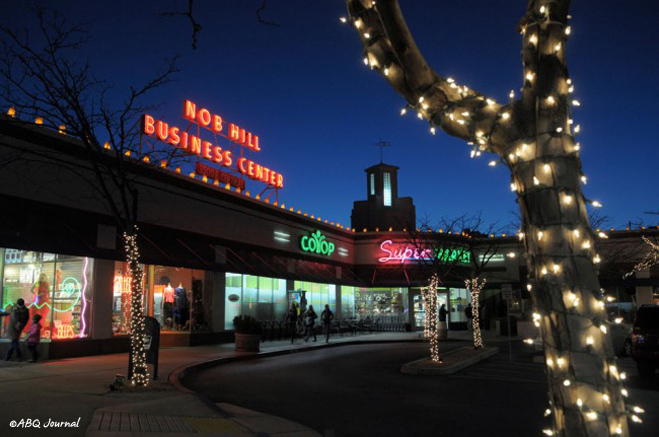 This Albuquerque neighborhood is a prime shopping locale for local and only-in-Albuquerque holiday gifts. Start crossing off your holiday shopping list and meet purveyors during this event, when Central Avenue (Old Route 66) closes to traffic and the stores stay open late. Click here for additional event information. For the 19th year, Keshet Dance Company Founder Shira Greenberg reimagines the traditional Nutrcracker story and sets it to rock music by Aretha Frankin, The Rolling Stones, Janis Joplin and others. She also untethers the choreography from the bounds of ballet, introducing swing, African and hip-hop movements styles into the vibrant production. Click here for event information. 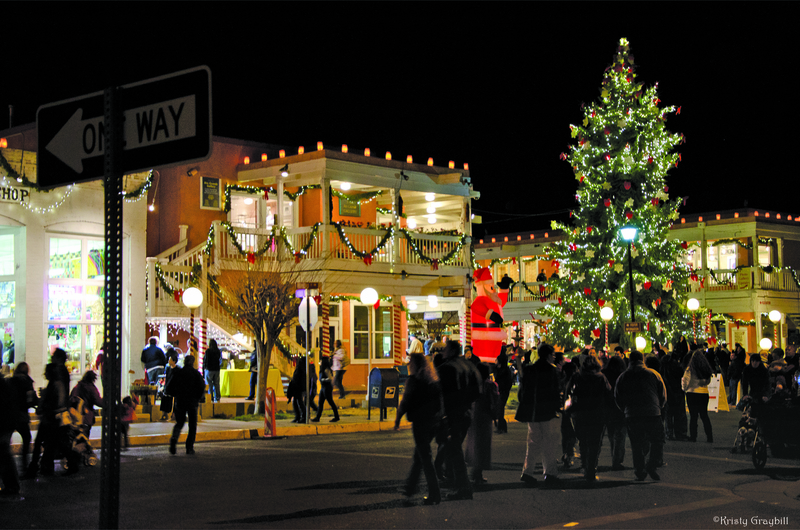 On this evening, Albuquerqueans gather for the official lighting of Old Town&apos;s Christmas tree. The tree is not one of the state&apos;s elegant Ponderosas; the 55-foot-tall tree is actually made up of 130 smaller trees assembled to look like a towering pine. After the tree lighting, sing carols at the gazebo, sip hot chocolate, and wander into local shops-which stay open late for the occasion. Click here for more event information. Founded in 1930, Albuquerque Little Theater has long staged Broadway and off-Broadway plays in the Duke City. 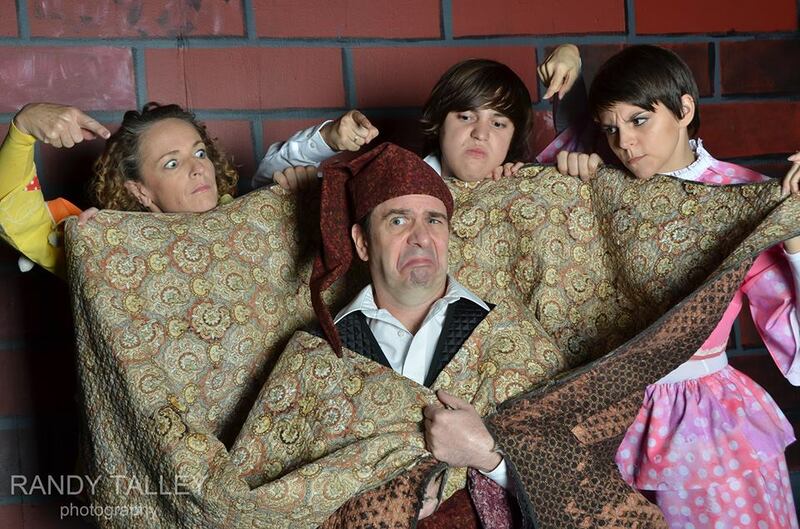 This year for its traditional holiday production, the company adapts this classical Christmas story anew. Click here event and ticketing information. 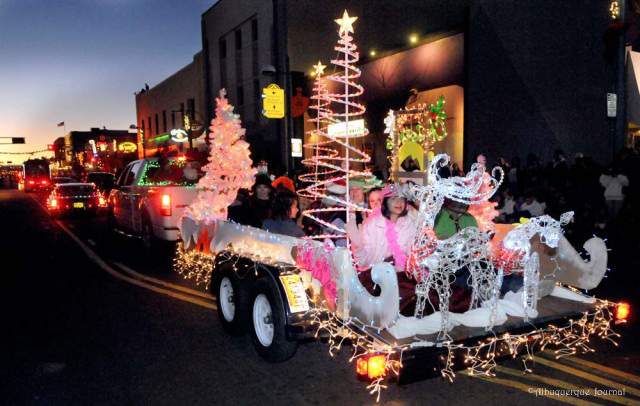 On this evening, electric-light-bedecked floats exude holiday cheer with a parade down Central Avenue. You can even decorate yourself with a string of holiday lights and join in the sparkling festivities. Click here for event information. Albuquerque&apos;s professional orchestra plays traditional and contemporary holiday favorites at this annual concert at Popejoy Hall. 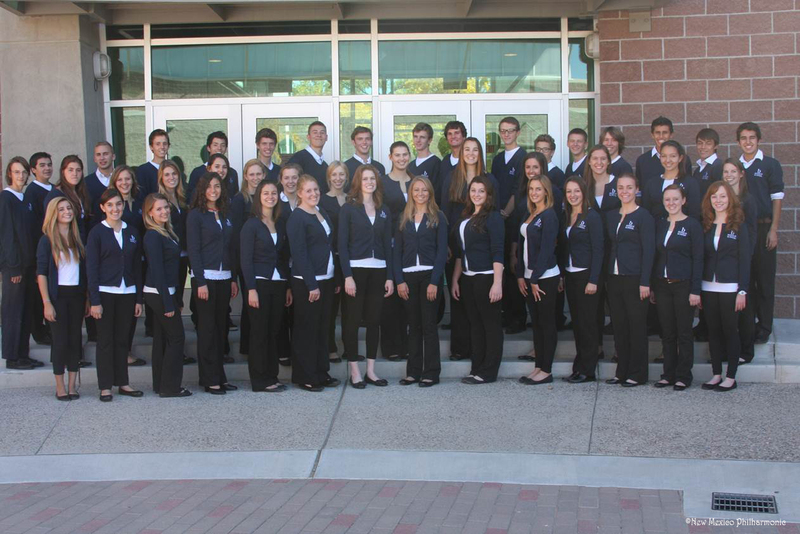 This year, Manzano Day School Chorus, Bosque School Choirs, and Rio Rancho High School Concert Choir will join the NM Phil at Popejoy. Click here for event and ticketing information. This set of massive buildings, 153 miles northwest of Albuquerque, stand as a testament to the engineering abilities of ancient Puebloan peoples. A mind-expanding, beautiful display of this architectural artistry takes place on winter solstice at the Kin Kletso great house. 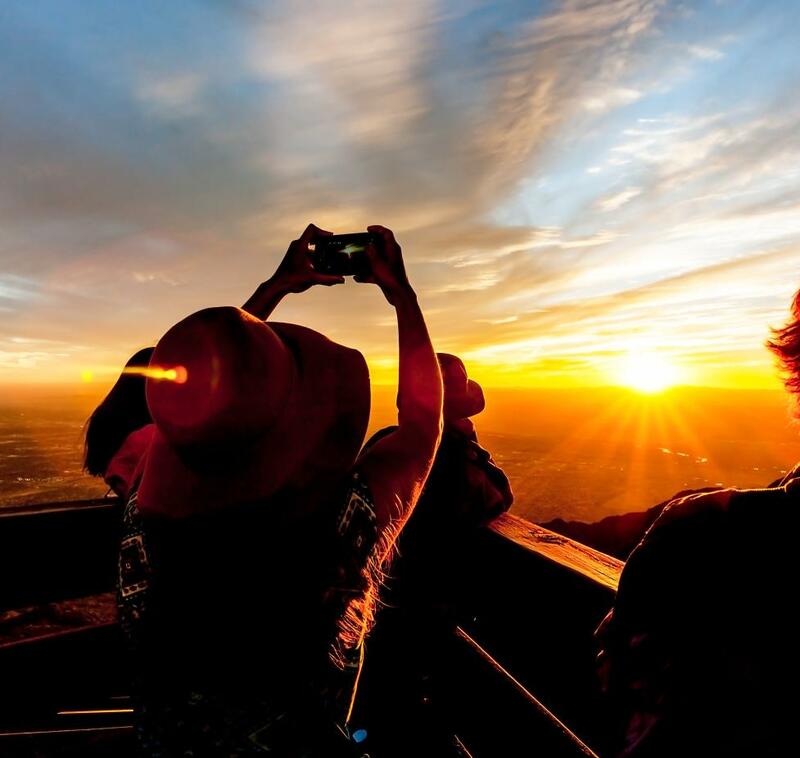 Seeing this illuminating sight is well worth the road trip, but be sure to make your plans in advance: the solstice program is available by reservation to 100 people. Reservations begin the first day of the month the program takes place in and may be made by calling the visitor center at (505) 786-7014. 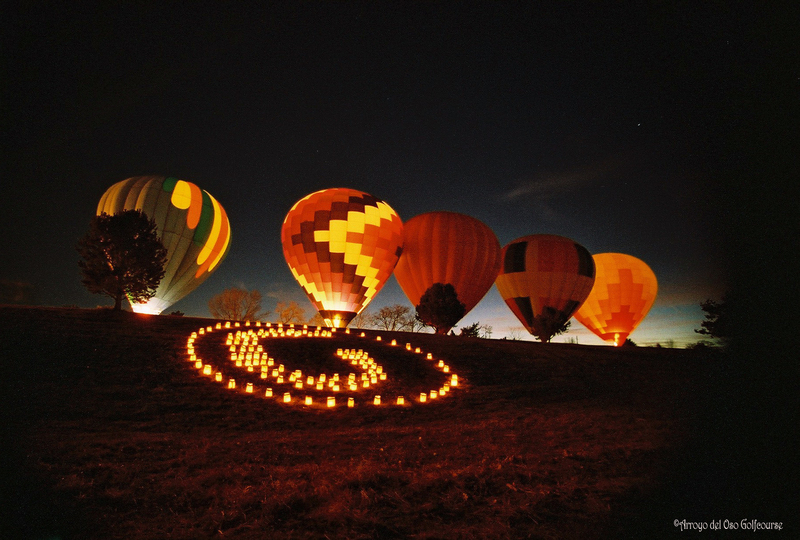 While the luminarias are aglow in Old Town, tethered hot-air balloons light up Arroyo del Oso Golf Course. Grab your apple cider and head to this gathering where a dozen pilots light their crafts&apos; burners to the delight of attendees. 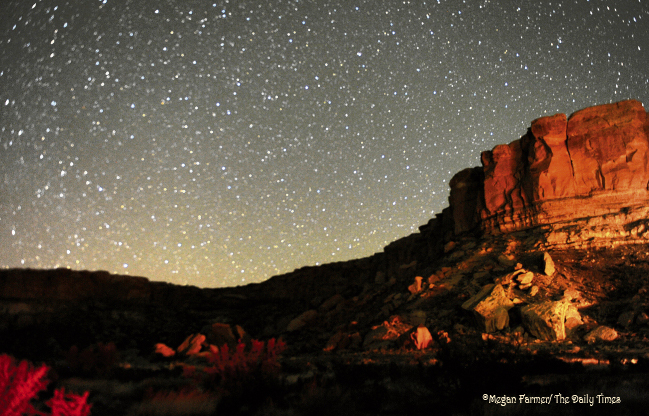 The holiday season is a superb time to explore Native American cultures via pueblo feast days. Acoma Pueblo, 66 miles west of Albuquerque, is alight on Christmas Eve when 2,000 luminarias glow on the ancient mesa-top village. Traditional dances unfold there December 24-28. 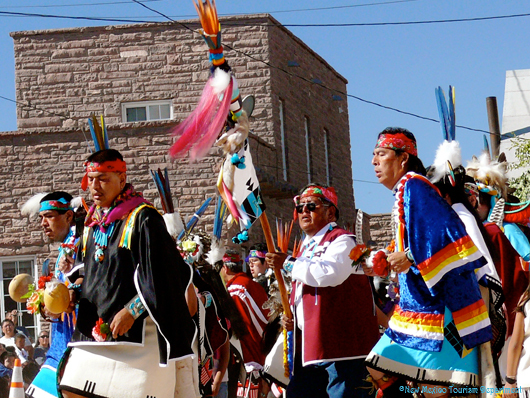 Laguna Pueblo, 50 miles west of Albuquerque, and San Felipe Pueblo, 32 miles north of Albuquerque, both offer traditional dances after Christmas Eve Mass. Laguna&apos;s harvest dances continue for three days after the holiday. 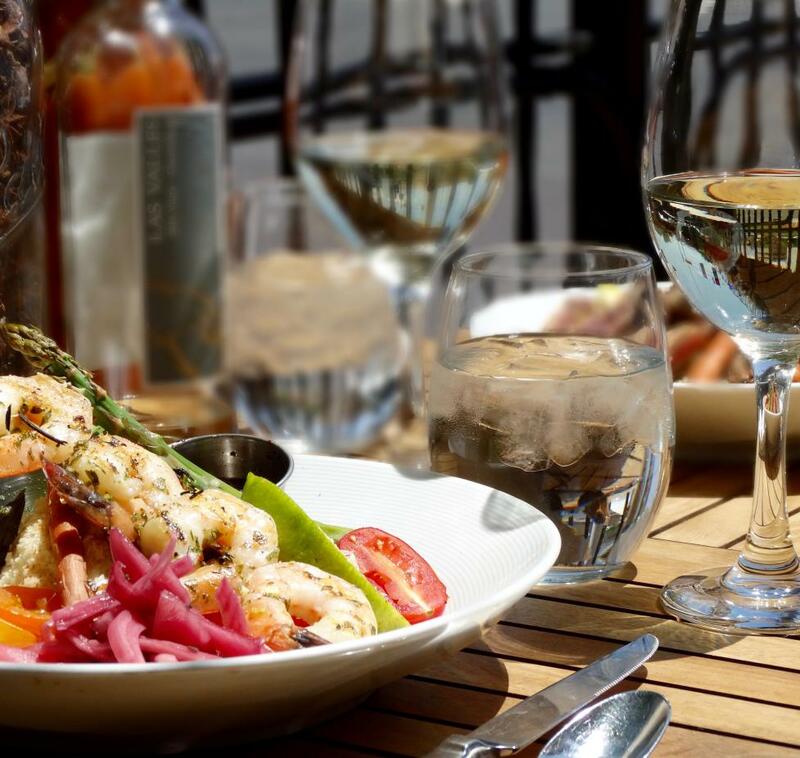 Because feast day plans may change, be sure to call ahead before making the road trip to each pueblo. 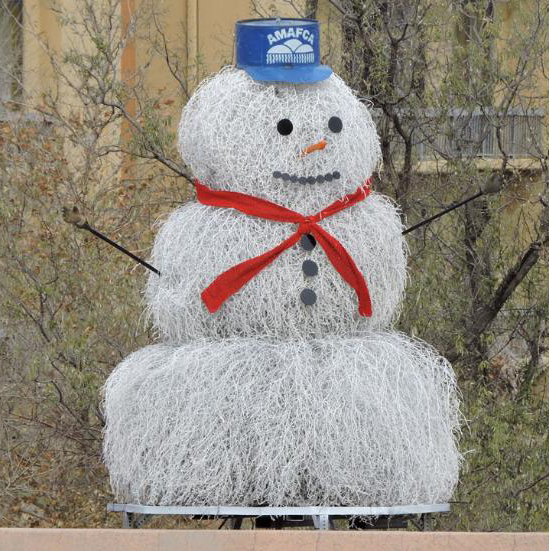 Sending you holiday cheer from our friendly Albuquerque tumbleweed snowman! 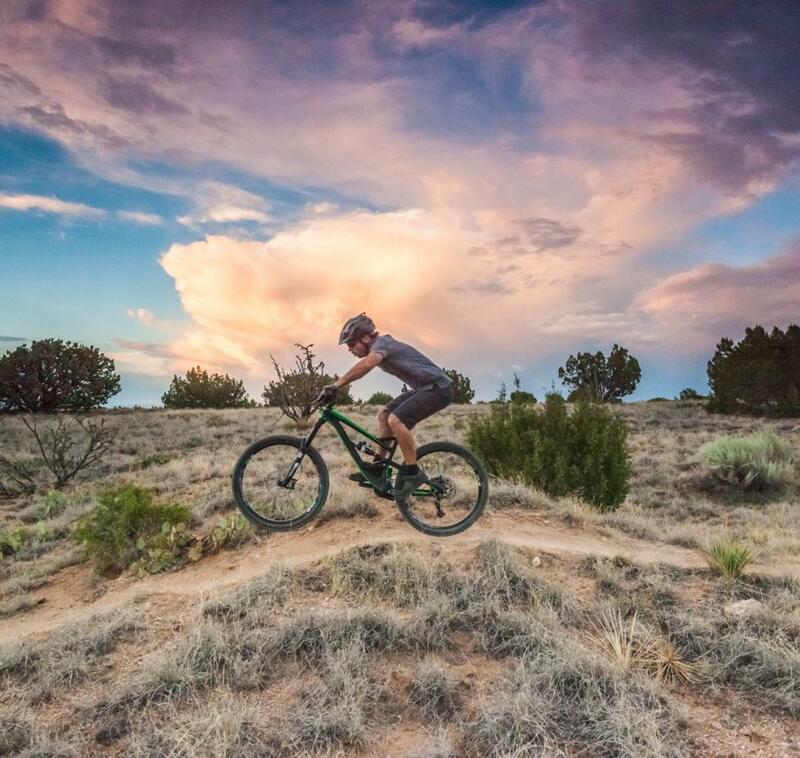 Sign up for our monthly ABQ365 email newsletter for more Albuquerque event information. Use the hashtags #ABQevents, #ABQ365 and #TrueABQ on social media to stay connected!